The following is my farewell to you all for the next 18 months, as I am leaving next week to serve a mission for the Church of Jesus Christ of Latter-Day Saints. When I return, I fully intend on blogging once more. 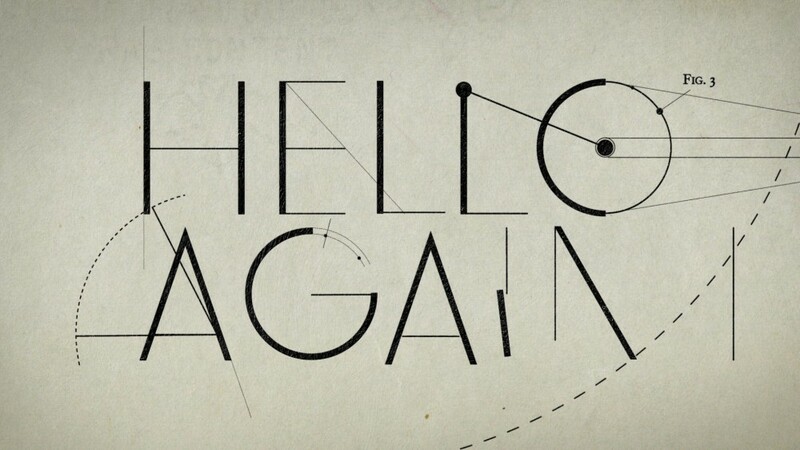 So, stay tuned and I will be back with more inspiration, poetry, words, lame metaphors, and unintentional humor! I love you guys. Thank you so much for your support, guidance, and wisdom over the years. I appreciate every one of you. I hope to still see many of you when I return! I suppose the irony of me serving a mission, is that until recently it wasn’t even in the cards for me. Sure, there were moments when I thought to myself how nice it would be to go, but for the most part I just wasn’t interested. I had a life of my own, I knew what I wanted in the way of a career and academic plans, and I was pretty determined to get there without much interruption. I suppose I should have realized that mentality usually results in divine intervention. It wasn’t until my first semester at BYU-Idaho, that my thoughts on a mission began to change. I remember, with no specific situation having been the start of it, an urgent feeling which became a sort of constant companion to me over the next few months, prompting me to serve a mission. Despite my adamant protests, long list of reasons why it was a bad idea, and several attempts to talk my Heavenly Father out of the idea, the feeling wouldn’t leave me. I remember talking one night with a friend and telling him how I really didn’t want to go on a mission, but kept having the idea come back to me. He assured me I wasn’t obligated to go, and that any choice to serve a mission would be mine entirely. You’d think this would have eased my conscience somewhat. Only, with every excuse and friend telling me I didn’t have to go, I felt more strongly that the spirit was directing me towards a mission. My first Sunday back at the young single adult ward after college, was a life changing moment for me. It felt like every talk was a call from my Heavenly Father, asking me why I wouldn’t listen. Why I wouldn’t open my eyes and acknowledge the truth all around me. The importance of a mission became so apparent to me during that sacrament meeting, that I felt shaky afterwards. Whether I wanted to face it or not, my eyes were forced open that day. Feeling very humbled, I drove home that evening with tears in my eyes, and upon arriving home promptly told my mom that I was meeting with the bishop that Sunday to begin working on my papers. This story is so important to me for a few reasons, and I want to put this in perspective for all of you. As I sat reading this talk, fighting fear and confusion over what I needed to do, I realized a very simple truth. First, my call to serve did not come the moment I opened my mission letter. It came, just as many of you have also experienced in different areas of life, directly to my heart by the Lord. In that sacrament meeting, I felt my call as surly as I did when I received it on paper. 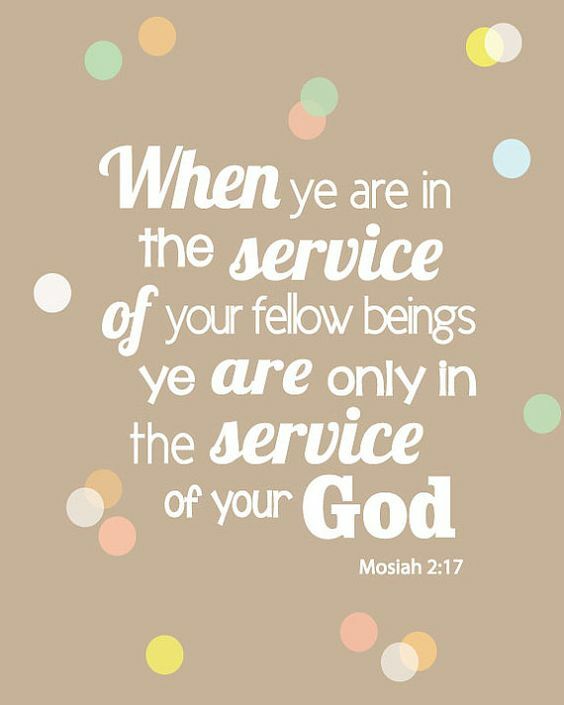 We all are called of the Lord, in different ways and in different times. However, the message is the same. If you love me, keep my commandments. Two, my reluctance to obey, caused my father in heaven to ask me the same question asked of Peter. Growing up, I’ve always had a profound sense of my savior’s love for me. While I knew I loved him in return, I didn’t really understand until recently that love is a lot more than just a feeling, and words you say. It’s action, commitment, trust, and service. When I really thought about this, I was filled with such an overwhelming love for my savior that I didn’t even know I had kept buried up inside. The more I focused on him, the less I felt scared to serve a mission, and the more I realized what a privilege and opportunity it would be for me should I follow the calling I’d received. I would like to bare my testimony that I know our Savior lived and died for us. I know that one day, if we live worthily of the covenants we partake of, we can return to live in the presence of our Heavenly Father with our eternal families. I know the very creation of the world bares testimony to the truth that there is a higher being above us. I can barely contain my excitement, to say that I know this being. I love him. And he hears and answers me, in ways I feel personally. After all this time of not wanting to serve a mission, I’m glad to say that I’m ecstatic to serve. I have never felt such comfort in a decision before, and because of that I know I am doing what the Lord wants of me. In closing, I want to ask you to consider in your hearts, the same word’s that the savior asked of peter. “Do you love me?” If our answer is in the affirmative, then shouldn’t that mean action? The thing about poetry, is that most people often associate it with depression/sadness/breakups. I think there are a few reasons for this, however, what I really want to get at is that a lot of people write poetry on these things because the feelings evoked are so acute. Last night when I was pondering the meaning of life (yeah, I'm weird like that) I came up with this image in my mind of negative emotions being irregular, sharp, and crude shapes. When we feel it with our hands, it's easy to pick out the depth and sting of our emotions. 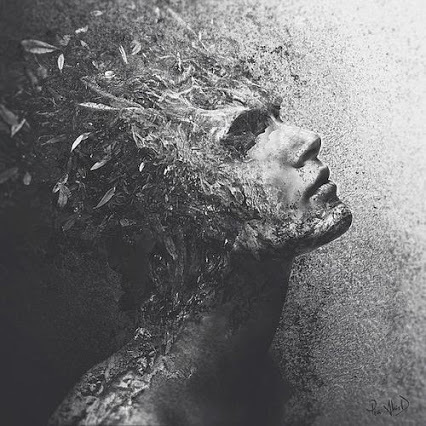 Its very nature is raw and jagged, giving us splinters in our mind and soul that are all too easy to feel. In a way, writing about negative emotions is much easier than writing about positive emotions. With sadness, we remember it longer. It's asymmetrical, odd, peculiar. It begs to be noticed and felt, whereas positive emotion does the exact opposite. I like to think of happiness as being round and smooth; giving way to nothing irregular or discomforting. It's very nature in that sense, gives a writer very little to hold on to or become 'caught' on. It's warm, and comforting. It smooths away turmoil and everything that punctures our thoughts. It simply glows, with an aura lacking uncomfortable keenness. I don't mean to suggest positive emotions are not intense, they are. What I do mean to suggest is that unlike sadness, which gives us a clear template of feeling to work with, happiness is much harder to write about. In a way, it simply is. What words would be sufficient to describe that? In this way, I can only think that those who write such beautiful prose on happiness are more skilled than poets who only take to the pen in times of extreme duress. While both those who write negative and positive poetry both contribute beauty, those who write on happiness take a concept with so little obvious clues as to where to start or how to proceed, and weave elegance from a circle that never ends. I think, I want to be able to write like that too. No, I didn't design this image--but isn't it epic? If only my artistic skills would permit me to create this magic. To be real though, a 'Hello' from Lyndsey has been long overdue. I've been to college -hurrah- I've held a real job, I've even met a few friends in between. I decided on Microbiology as my major, and now excel at stressing over everything and anything! Long gone are the days when life was carefree and simple. 1. Live life, find it's meaning, and fall in love with it. 2. Find at least two deep relationships. With people whom I can trust implicitly, and love without hesitation. 3. Make my heart, home. Make my mind, a temple. Make my soul, the silver lining of eternity. I want to improve myself, and learn to love ME. 4. Strengthen my relationship with the Lord, and serve! Until my next post... in which I will hopefully rant some, pry apart the secrets of rocks, and maybe spew my thoughts all over your screen for your benefit (but maybe mine). They say the best way to know someone else, is to put yourself in their shoes. Only, for the mere specs of humanity on this planet, putting one's self in someone else's shoes is complex. Sure, you can dream. You can pretend, you can visualize. --but, nothing comes close to the real thing. Being YOU. With all your flaws, imperfections, and beautiful kinks & quirks. Few in life, will ever know the true you. It may even be, that you yourself don't know this 'you'. I know I fit into this one. It's funny, because as I grow older I seem to have less and less to say. There is a certain element to my old-self, that sparkled with innovation, creativity, and a raw talent that surprised me. I had so many THOUGHTS, so many passionate ideas and flavors at the tip of my tongue. Those were the days when I dissolved into paper like a fish would the sea. I loved the written word, and I felt that love spill from me in the most unexpected moments. I was beginning to realize the vast labyrinth of my mind, and it sent thrills of excitement through me. It was slow at first, a gradual decline. Call it getting older, call it heartbreak and resignation, call it perfectionism or self-degradation. I don't know what it was, though I wish I did. Maybe then I could reverse this sudden quiet that seems to be descending all around me. My brain, my mind, my one passion in life for learning and creativity, is shutting off. I wish I could say I don't recognize myself anymore, but to be quite honest, I don't think about it. I don't think about much, other than these primal driven instincts which seem to have become all that is left of me. Food. Sleep. Protect myself, protect my heart. I don't want to hurt anymore. Never. I feel like I'm closing myself off from life, from living. Most importantly, from feeling. It's been replaced by anger, irritation, and an overwhelming nothing. I'll be the first to admit it, I've become boring. I've become afraid of myself, and what the world can do to me. I don't know how to fix this. I don't know, if my primal instincts, even want to. So for now, I suppose all that is left to do is try. Try to fix this mess, the universe seems to have created out of me. To say people are my forte, would be odd from an observer's point of view. I conduct myself with a cool dispassion, bordering on contempt. I am outwardly friendly, but ultimately unreachable in an infinite number of ways. The question is, why? I confess this, only because I'm curious if my behaviors on this are shared. The truth of the matter is, is that within minutes of meeting someone I can see straight through them. I know their fears, their angers, their griefs, and pains. This may sound strange to just about everyone, but it's almost like I have a twisted intuition that goes beyond mortal means and behaves in a spooky, deeply intimate manner with humanity. I know when someone is lying. I can feel it. During an English class at a community college back at home we were asked to pair up with someone we'd never met before and write down our impressions and assumptions of him/her. I paired up with a blond girl, wearing a pink Disney shirt. Within a matter of minutes, I creepily lay bare her whole identify on my sheet of paper. Things like what her favorite color was, what her favorite movie was, that she was closer to her Dad than she was to her mom, what her fears were, what she loved to do, how she saw herself, and what her dreams were for the future. When I passed her my notes, she was rightly horrified (I hadn't realized we would be handing these to our victims). Her first reaction was to ask me how I knew so much about her, and the second was complete shock. I don't know exactly how I knew so much about her, I just felt it. This isn't the first time this has happened either. Interestingly enough though, I can't sense positive emotions. While I can tell someone is faking something right off the bat, I can't tell if someone is interested in me, and even, if they love me. I suppose every weird quirk has its limitations, right? Yes, I am an INFJ. Due to the stereotype of our 'personalities' you may already be familiar with what I am about to express, but hear me out. I feel so much. I think so much, about everything. Sometimes its hard to distinguish between reality, and what goes on in my head. Because of this, I'm very, very careful about who I let know me. It is almost impossible for me to truly love someone, until I'm 99% sure I can trust them. -and as expected, this whole Lyndsey deeply loving someone else doesn't happen very often. I mirror people. Their behaviors, and their actions. In a world that takes relationships less than seriously, I have had to learn to fit in. The real me, is a bleeding, raw emotional weirdo. I'm not normal! Far from it. The people I let into my life, are the people I'd swim alligator infested lakes to fetch mere lemonade for. 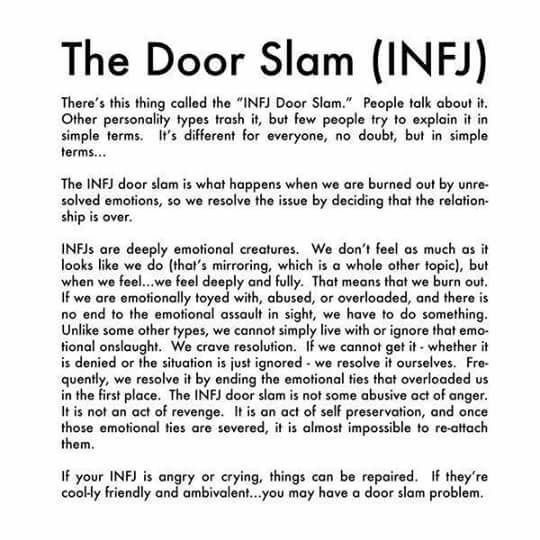 I forgive them easily, however, when those people hurt me, I pull the famous INFJ door slam. People are my forte. They are puzzles I piece together, riddles I solve. While simultaneously hating the majority, I love the few. I am a bleeding, raw mess but despite the limitations of this I experience life anew in every moment. I suppose it's nice to say this sometimes. I love my weird, complicated, quirky self. madness ensues; from the death of the sun. the valves of our hearts, pump sand through our veins. I'm scraped raw by the absence of you. My hands have spent the last few minutes hovering over this keyboard; poised like a tidal wave, just before before it crashes back into the turning sea. There are things I want to say, yet I don't know how to say them. I'm unsure of where---or how, to begin. Me, with all the words in the English dictionary, and I can't string enough together to tell you what I'm feeling in this moment. Change, uncertainty, but most of all: fear. It seems that my trials in life are mental, rather than physical. Everything I've dealt with to this point has tested me emotionally, rather than physically. I can vividly remember points during my adolescence, when I was overcome by a darkness I cannot begin to describe. If I had to choose a time when I felt the most broken, it would be this. My very being felt invaded. I carried a sickness in my heart that others couldn't see; yet that was more real to me than anything I've ever experienced. It pulsed in my throat as though it were an organ pumping vile acid through my lungs. At times, I would lay on my bed, and cry that If I could only dig it out I would feel better. It felt so physical to me, so real. There was something inside me, physically filling my chest so that it made it hard to breathe. It made it impossible to feel anything other than the murky darkness that became my constant companion. I felt fear then. Real, human, fear. Fear, that this sickness would never leave me---and that I would spend the rest of my life under the disbelieving gaze of those around me, while my soul pleaded for silence. However, I was saved. I suffered so much during that time, yet the moment I surfaced from that nightmare stands out to me the clearest. I can remember the day I no longer felt a crushing weight against my chest. I cried and cried---not out of sadness, but out of absolute joy. I felt free. I was free. Something had removed the darkness from me, and for the first time in months, I could feel the world around me. I don't know what you would call this. Depression, insanity, hormones---it doesn't really matter to me. All I know is that I would rather cut my own legs off than do it again. I met with a force in that time that I never wish to meet again. I did grow from this though, despite how painful the lesson was. 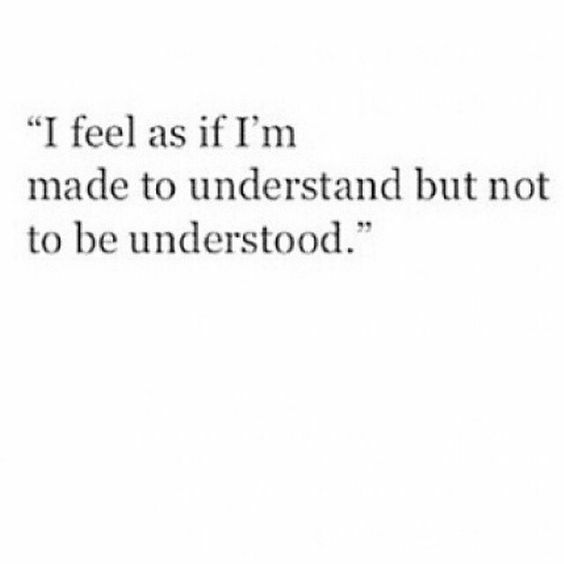 I grew a lot in empathy, and in understanding. My blog was even born because of it! So, good things do come from hard things. However, these past few months have my philosophy on that. I think for the second time in my life, I'm about to meet something bigger than I feel I can handle. College is just around the corner, and with that rides the host of my childhood fears. I can remember being fourteen years old, and freaking out over thoughts about leaving for college. I feel like I shouldn't be reacting this way, I feel like the normal eighteen year old girl takes a cake walk to college without any second glances. By that definition however, I'm certainly not the average eighteen year old girl. I have never been so absolutely terrified of anything as much as I am of leaving. On one hand, I feel a glimmer of excitement. I'm getting older, I can feel it now more so than ever. Something inside of me is bored with my life, and myself. I crave excitement, I want change. I want to have an actual selection of friends I can choose from, and feel like I actually belong somewhere socially. I want to have fun---in a different way from the kind I've had on my own. I want to go to parties, join friends as they nerd out over the new star-wars movies. I want to stay up late talking with my roommate, I want to have someone I can connect with as much as I connect with my sisters. A best friend, a boyfriend, I don't care. I just want someone in my life that will bring color to the drab walls of my comfort zone. On the other hand, is my fear. It would be presumptuous of me to say I love my family more than anyone does. ---but I'm gonna say it. I really love my family more than anyone does. A part of me believes that If I leave, I will lose the relationship I treasure with my parents, brother, and sisters. I think of coming back after having a horrible experience at college, and realizing that things are no longer the same at home. That I don't fit in like I used to. Somewhere subconsciously, my doubts and anxieties are taking their toll. I've been having panic attacks frequently as of late, and my left eyelid goes into spasms daily. (Which, according to my eye doctor, is a sign of abnormal amounts of stress on the body.) I've woken up three times in the past month, just sobbing. Sometimes I feel so stressed that I feel nauseous, and shaky. I can't do this, is the thought that persistently haunts me. What if I really can't do this? What does that make me? One month left before I leave. One month left. One. The thought fills me with equal parts of dread and numbness. How am I going to survive this? Unlike before, my family wont even be an option for support. I will be alone, just like I was so long ago---stuck like a prisoner, inside my head. So there. I've said it. Everything I'm feeling now. I've spoken the words of my heart, and now have nothing left but hollow questions.